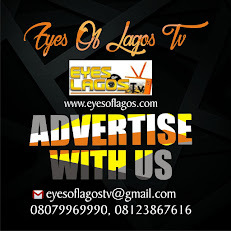 A notorious robber has reportedly met his end during a robbery after he was caught by an irate crowd who descended on him. 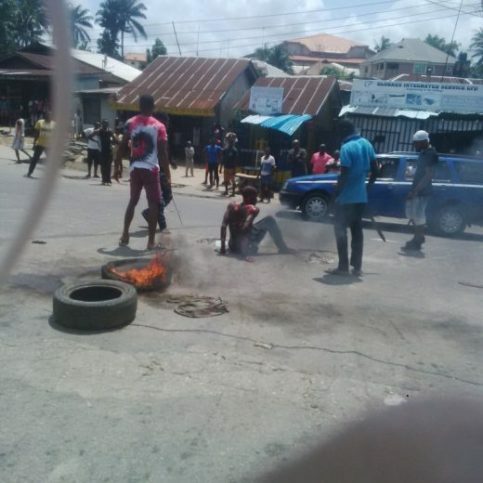 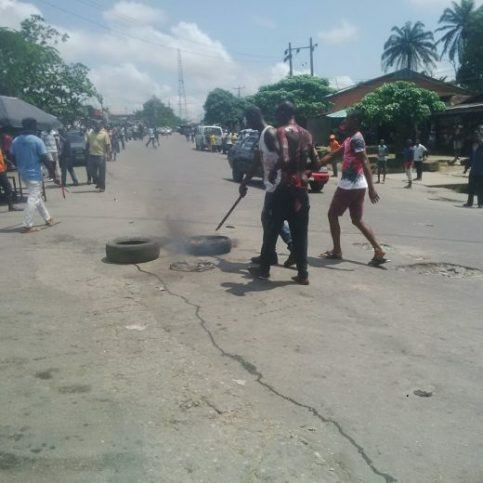 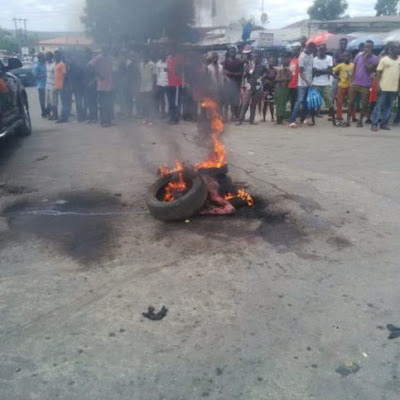 The unnamed robber was beaten mercilessly before he was burnt alive at Atimbo by Edimotop Junction in Calabar. 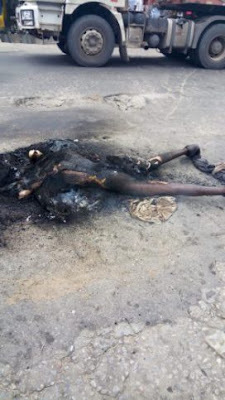 Many people watched as the body of the thief burnt beyond recognition.